There was always a chance that Alan Pardew would drop a surprise as well as the expected enforced changes. 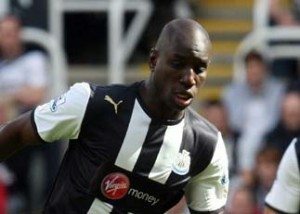 With the forward line not exactly firing as yet, Demba Ba has been sacrificed in favour of Marveaux, with Hatem Ben Arfa likely to have a free role to wander. Much talk throughout the last week of Anita at right-back proving to be a red herring, with also unfortunately Coloccini joining the already confirmed injured list.